These 15 fantastic Virginia day trips near Washington DC offer fun and interesting places to visit, whether you’ve got a few hours or a full day to explore. From parks and hikes; to towns, historic sites, and museums; to local wineries and breweries; you’ll find day trips for every interest on our list. The Potomac River separates Virginia and DC, providing many opportunities for exploration along it’s banks. 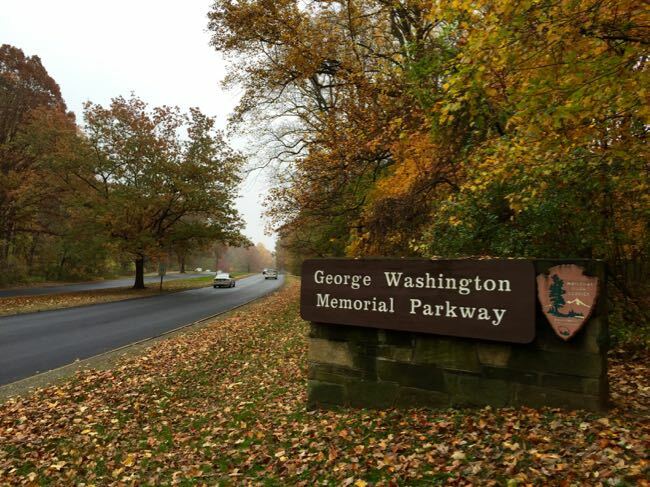 The George Washington Memorial Parkway, a national road linking historic and natural sites, also follows the river. These parks and natural areas are ideal for sunny Virginia day trips near Washington DC. Chase waterfalls, hike along beautiful Mather Gorge, and play on land once surveyed by George Washington at Great Falls Park, part of the US National Park system. Enjoy the most stunning waterfall views near Washington DC from three overlooks, two of them wheelchair accessible. Or hike the River Trail to more incredible views along the cliffs of Mather Gorge. 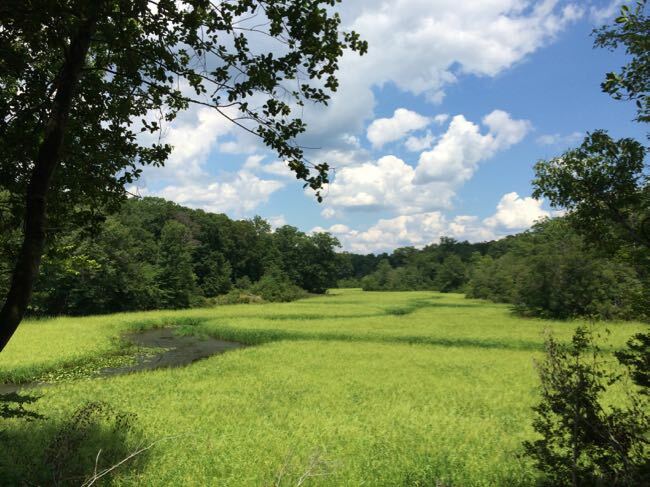 The Potomac Heritage Trail system follows the banks of the river, linking several parks with nice hiking, Hike to waterfalls and along streams and the river at Scotts Run, Difficult Run, Riverbend Park, and Seneca Park. 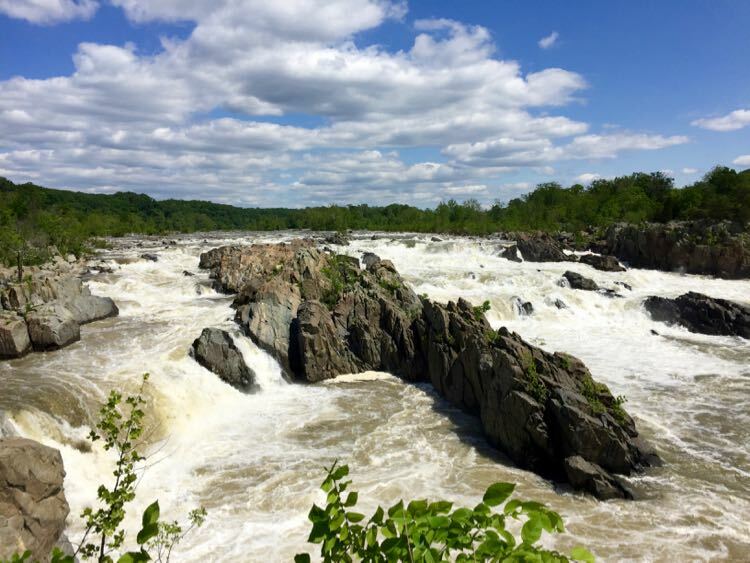 The height of the Potomac River varies dramatically and can become a raging torrent after heavy rains as this video shows. Want to make Great Falls Park part of a weekend getaway? The Hyatt Regency Tysons Corner Center is an excellent base for exploring Northern Virginia, and it’s just 7 miles from Great Falls Park. Read our full review of Hyatt Regency Tysons Corner..
Just across the river from the Kennedy Center, Theodore Roosevelt Island is actually in Washington DC, but the access bridge and parking are in Virginia. The island offers easy hiking, a beautiful long boardwalk over a marsh, and an interesting monument to Teddy Roosevelt. The Roosevelt Island parking lot is also the start of the Mount Vernon trail, a beautiful paved bike trail along the river. You can ride along the river all the way south to George Washington’s Mount Vernon. 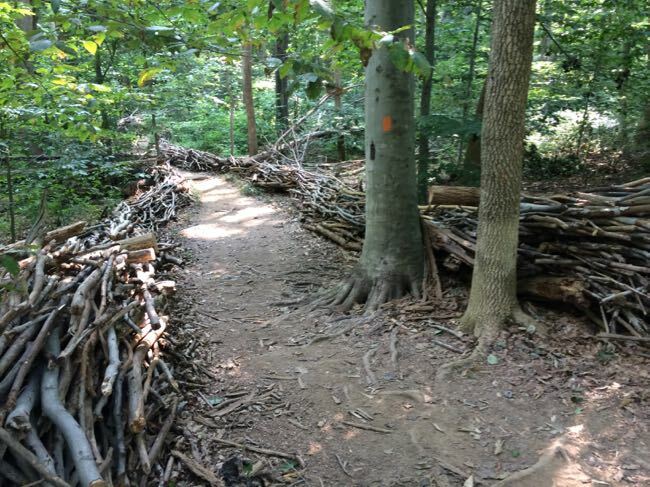 Or, hike north on the Potomac Heritage Trail to Windy Run. 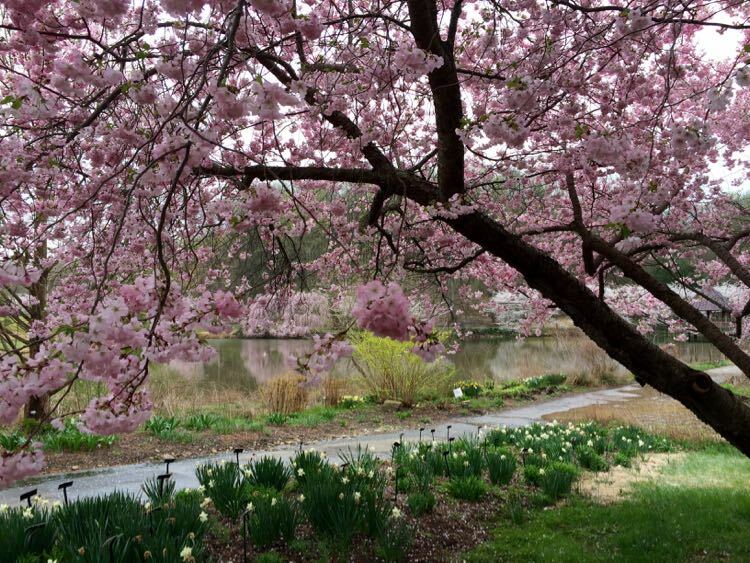 Tip: The Roosevelt Island parking area is on the northbound side of the George Washington Parkway. 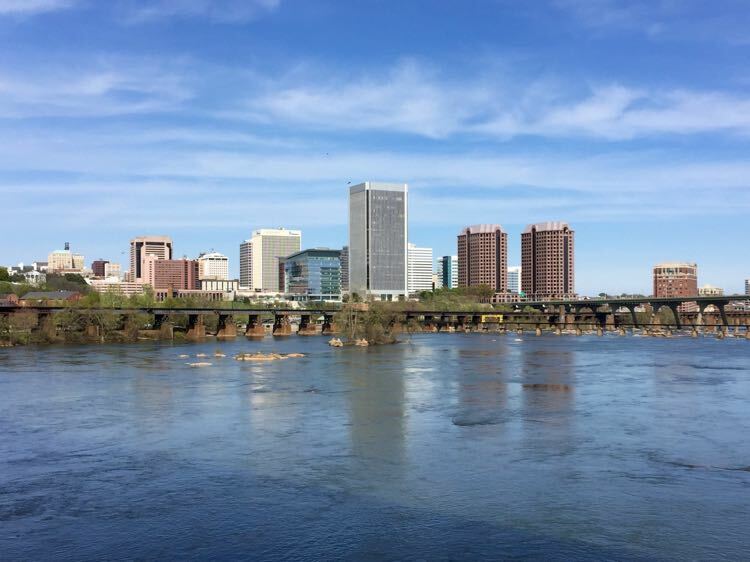 Arlington is a great base for exploring sites on the Virginia side of the river, and you’ll save a little on lodging compared to downtown DC rates. Check rates and availability for an Arlington overnight. The scenic George Washington Parkway begins at Great Falls Park and ends at Mount Vernon. 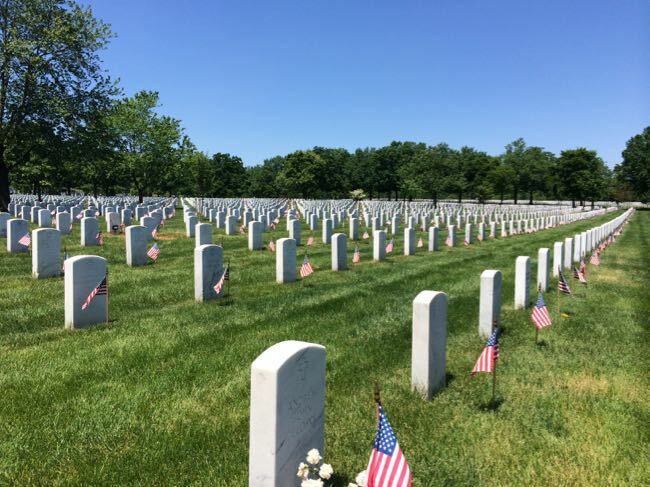 The national parkway ties together natural and historic sites along the way, including the Iwo Jima Memorial and Arlington National Cemetery. Allow at least a few hours (a day is even better) to explore parkway sites and George Washington’s Mount Vernon. Your Mount Vernon ticket also covers a visit to George Washington’s Distillery and Gristmill. Drive to Mason Neck, a peninsula south of DC, for a closer look at the estuaries and marshes that feed into the Chesapeake Bay. 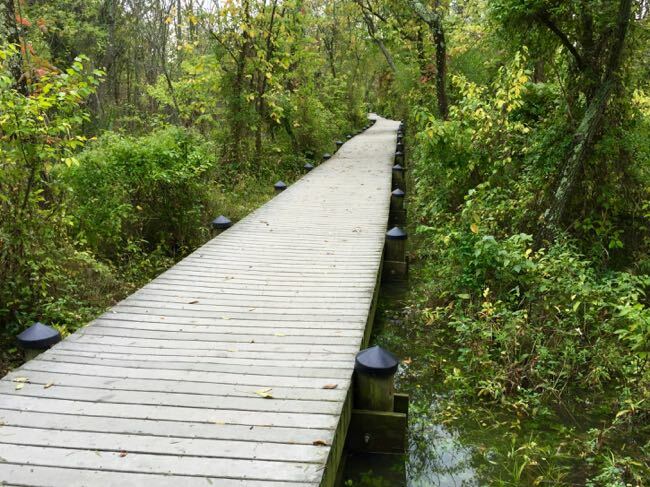 Mason Neck State Park has family-friendly trails and seasonal boating. The adjacent wildlife area protects an important bald eagle habitat. 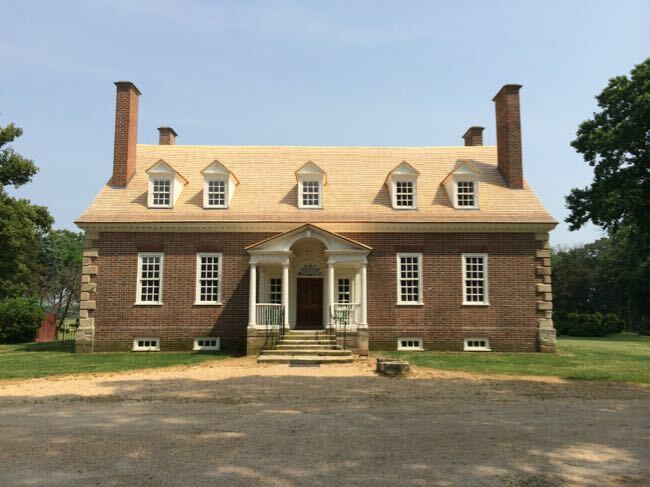 Take a tour of Gunston Hall for a dose of colonial American history. Here, George Mason developed many of the core principles of the United States Bill of Rights. 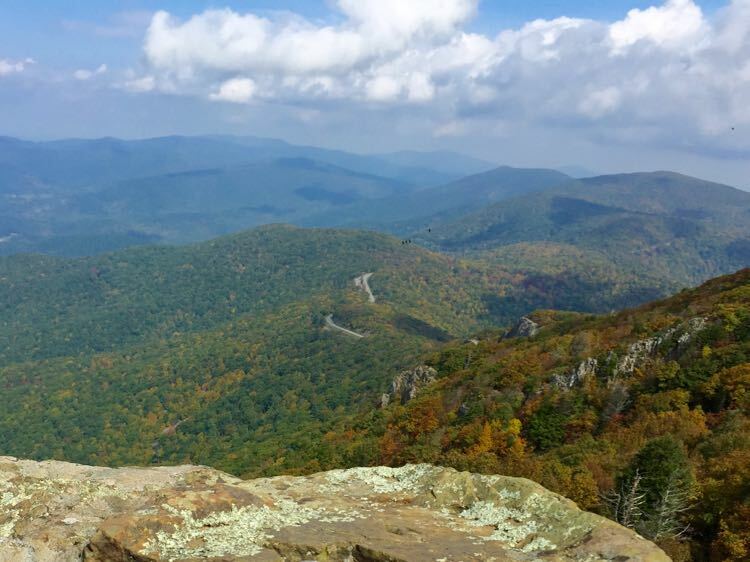 You’ll need a full day to visit Shenandoah National Park, and even then you won’t have time to cover everything in the park. Fall is an especially beautiful time to enjoy Shenandoah’s fall foliage. Focus on the Central District for access to some of the best views, hikes, and stops within the National Park. The park is a 2-and-a-half hour drive west of Washington DC, much of it scenic. Follow the link above for tips on our favorite scenic route, stops along the way, and tips on how to spend your time in the park. 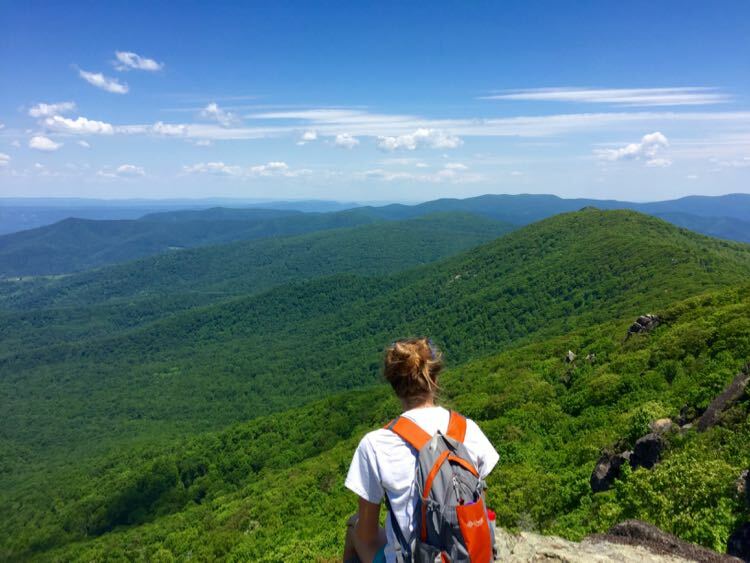 Plan ahead with these guides to hikes and things to do in Shenandoah National Park. Here’s a look at a winding section of Skyline Drive with emerging fall foliage. 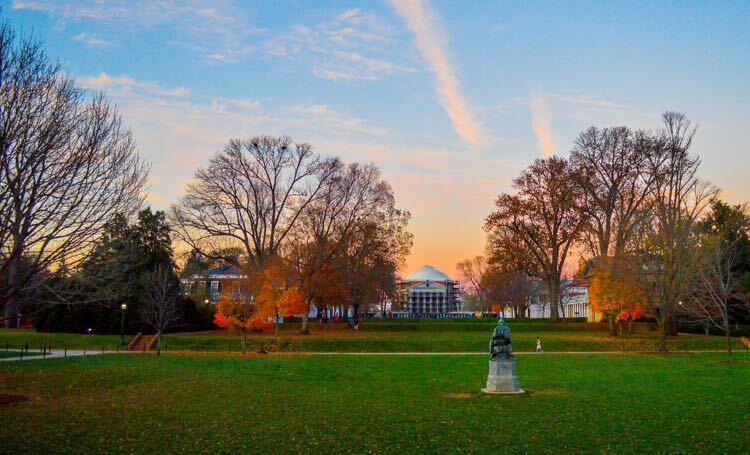 Home to three US Presidents, Thomas Jefferson’s Monticello, and the University of Virginia, Charlottesville is the only UNESCO World Heritage site in the state. This college town is not all about history though. You’ll find a great foodie scene, several craft breweries, beautiful wineries, and a vibrant downtown pedestrian area in C’ville. Charlottesville is a 2-and-a-half hour drive from Washington DC and makes an excellent weekend getaway destination. Check hotel reviews and availability in Charlottesville Virginia. We also stayed in an excellent Airbnb in Cville. Click to receive $40 off your first Airbnb rental. Foodies, beer lovers, outdoor enthusiasts, and history buffs will find a great mix of fun things to do in Richmond, Virginia’s vibrant capital city. Kayak in the James River, or cross the fun pedestrian bridge to Belle Isle and lounge along the riverbank. Stroll the Canal Walk and explore the downtown core. You’ll find a mix of modern bars and restaurants, historic architecture, and a cool collection of murals. 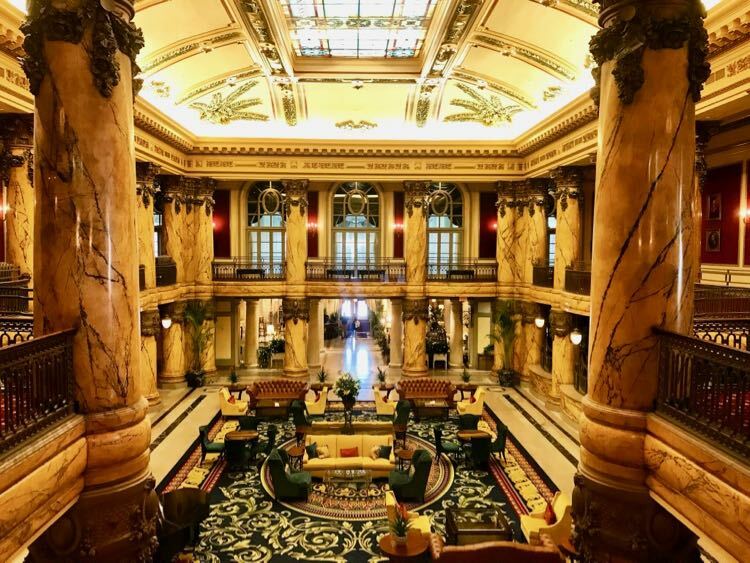 Extend your visit with a stay at The Jefferson Hotel, one of the most romantic hotels in Virginia. Or look for a great weekend deal at one of Richmond’s many hotels. Check more reviews and availability at The Jefferson Hotel in Richmond Virginia. The small, quaint town of Clifton is a true contrast to Washington DC. Check out the historic buildings and grab a bite downtown. 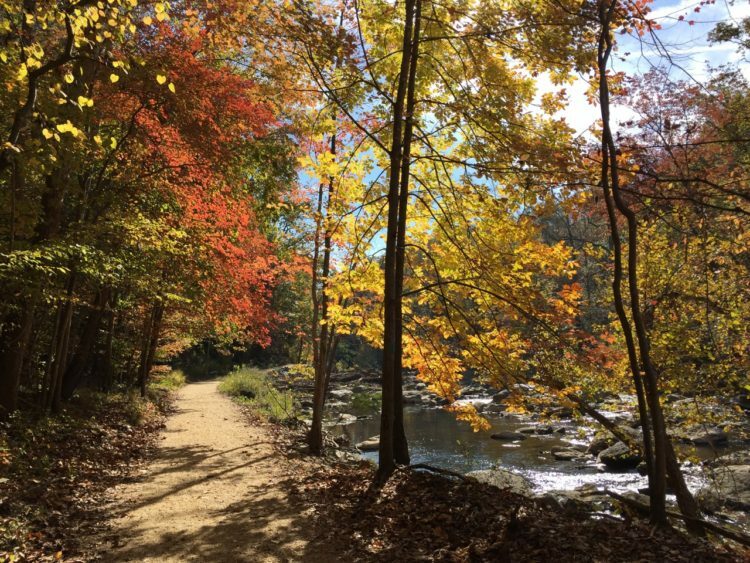 Take a hike on the Bull Run – Occoquan Trail, and sample Virginia wines at the closest winery to DC. It’s a relaxing stop without many distractions, and sometimes that’s the point of choosing Virginia day trips near Washington DC. 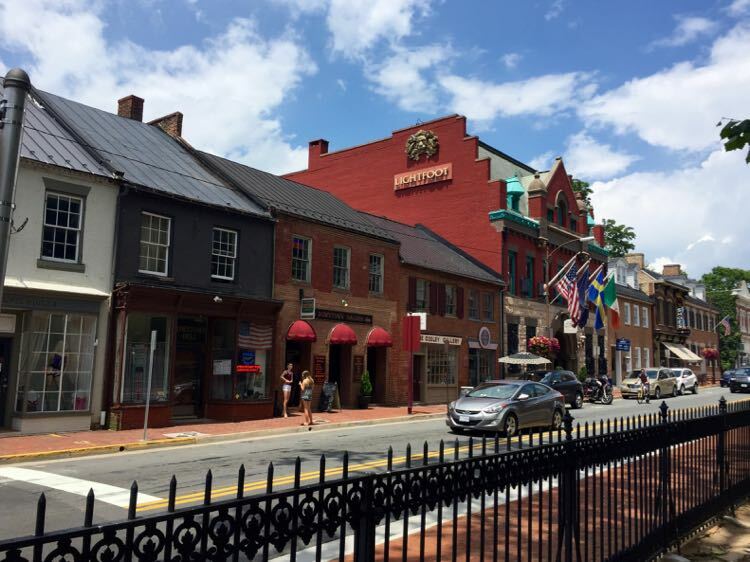 The streets of downtown Leesburg are lined with historic buildings, now occupied by tasty restaurants, fun bars, antique stores, and local shops. Stop in town while exploring the farms, wineries, breweries, and dirt roads of Loudoun County, a premier Virginia wine region (see more nearby stops below). 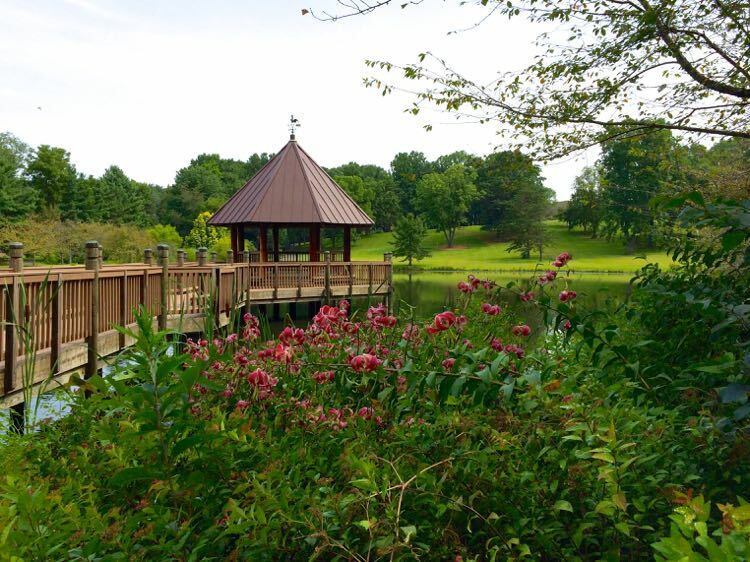 Make it a weekend getaway with a stay at Landsdowne Resort, which offers beautiful rooms, a spa, biking, hiking, golf, and on-site dining close to downtown Leesburg. 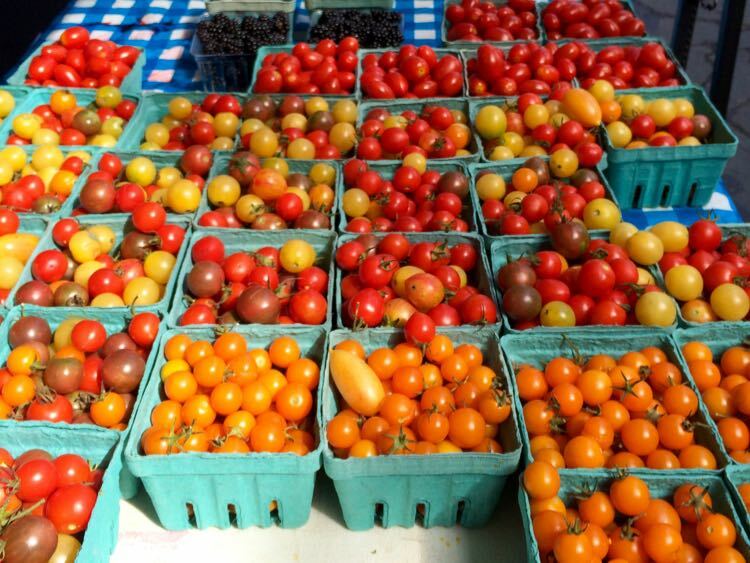 Plan your visit with our complete guide: Leesburg Getaway in Northern Virginia Wine Country. 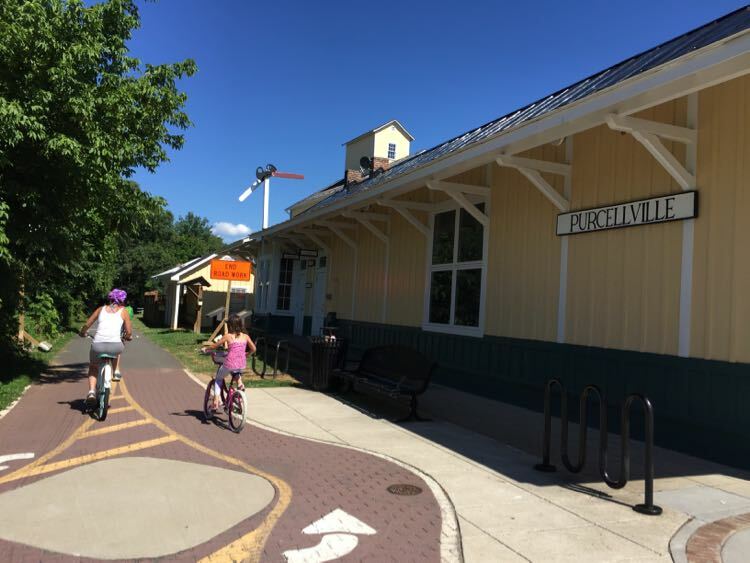 Further west, the small town of Purcellville is a good base for exploring more breweries, a fantastic distillery, and some great eats. 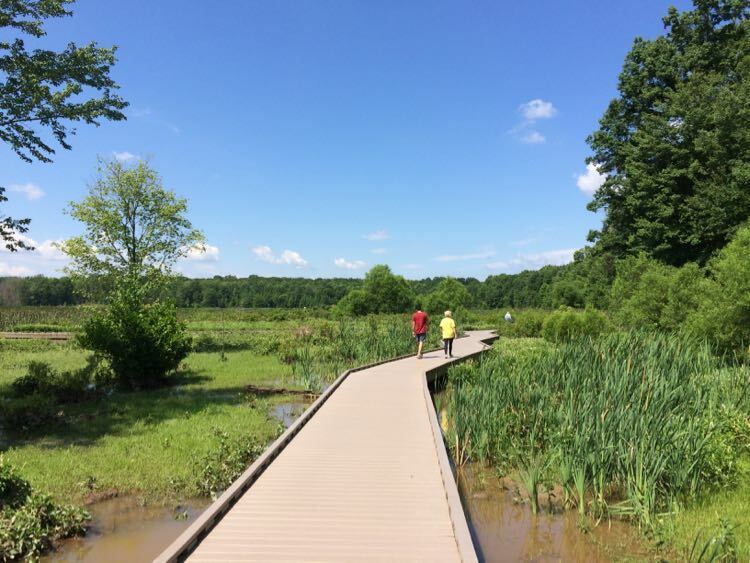 Outdoor lovers can jump on the Washington and Old Dominion bike trail (which travels 45 miles back to DC) or hike the Appalachian Trail to Raven Rocks in nearby Bluemont. 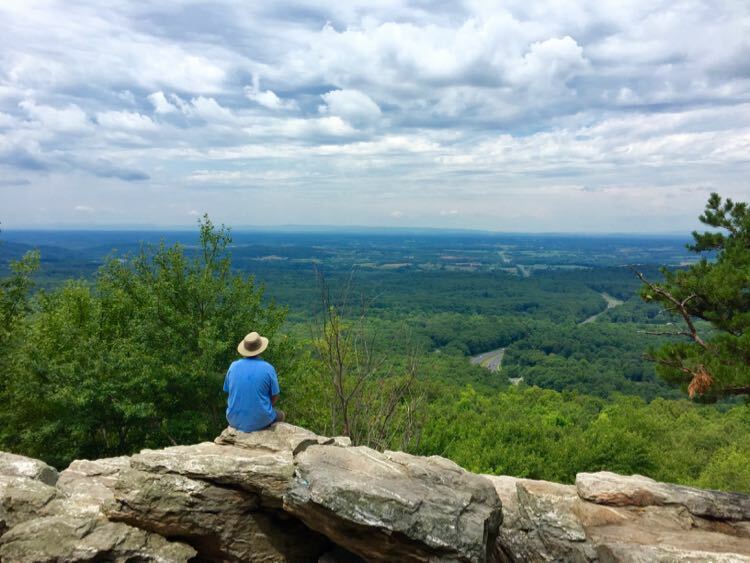 Visit Bear’s Den Overlook for an easier hike to an epic view. After the hike, reward yourself with more views and great craft beer at nearby Dirt Farm Brewing. Day trippers who want to combine a little effort with a local craft beer should peruse our Hike and Beer outings. 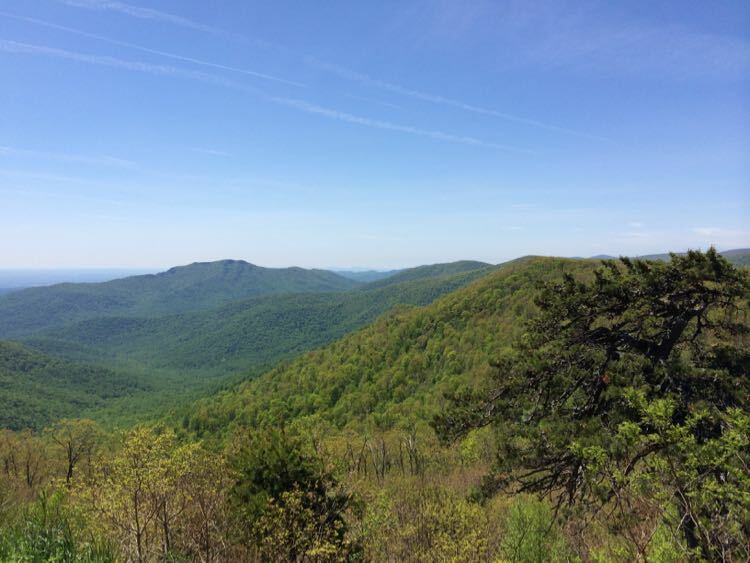 They all link a beautiful Virginia hike with one of the state’s growing craft breweries. Or skip the hike and focus on the brews. 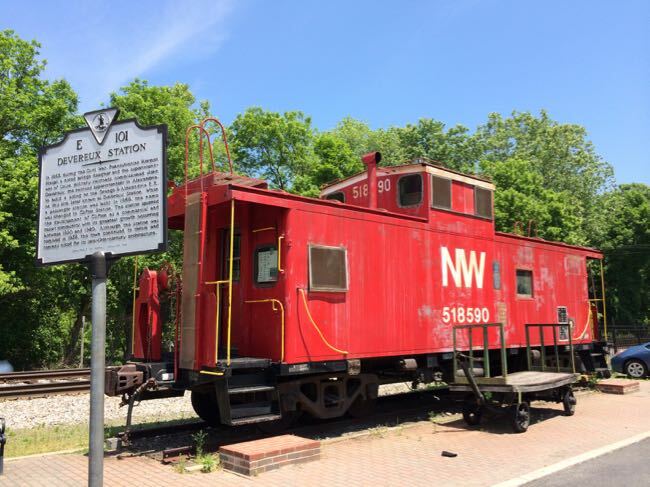 Just grab your designated driver, don your favorite beer lover shirt, and visit a few stops on the LoCo Ale Trail, which winds through Loudoun County. 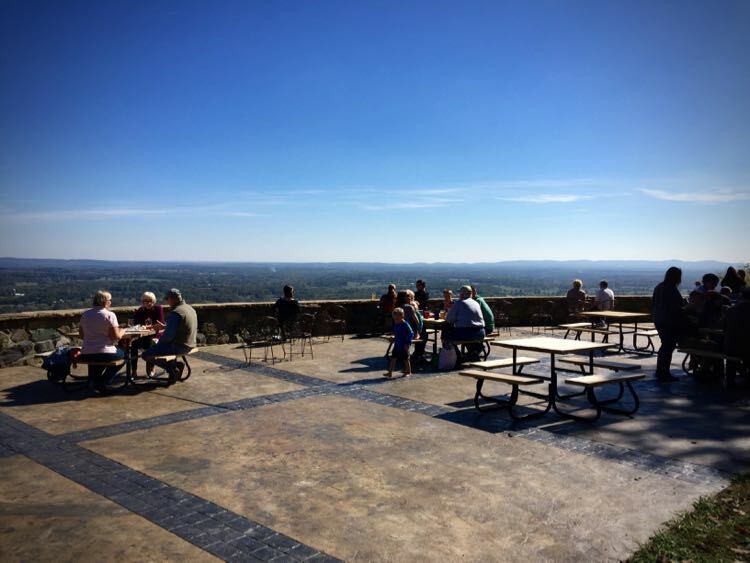 Enjoy fabulous Virginia views from the patio at Dirt Farm Brewing. If wine is your preference, we’ve got a selection of short and lovely hike and wine options that make for fit and happy Virginia day trips near Washington DC. 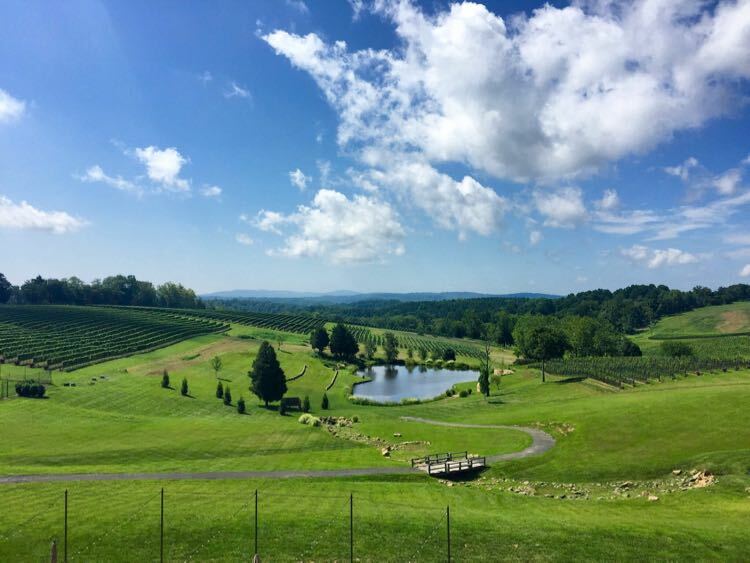 If you’d rather skip the hike and get right to the wine, point your designated driver to these Virginia wineries with beautiful views. Walk or bus across the river from the Lincoln Memorial to visit Arlington National Cemetery, the closest in our list of Virginia day trips near Washington DC. You can cover the basic bus tour in a couple of hours. However, we highly recommend a slower walk through this hallowed ground. 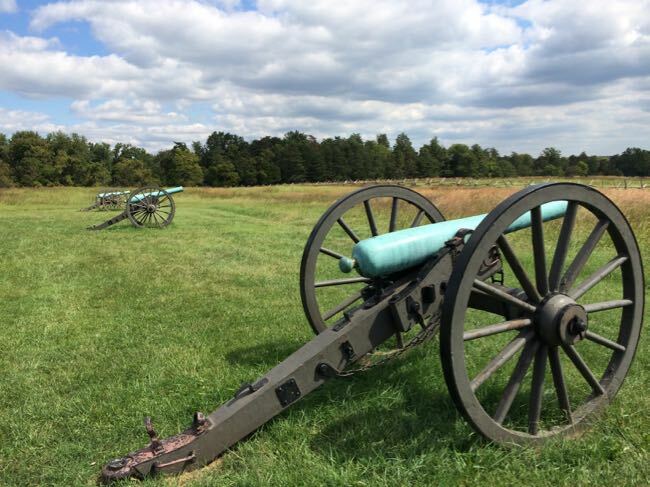 Manassas National Battlefield was the site of two important U.S. Civil War battles. The first, gave locals hope that the war would be over quickly. The second, a year into the conflict, underscored the unpredictable and devastating impact of the ongoing war. Driving and hiking trails help visitors understand both battles and their role in the war. After your hike, visit The Winery at Bull Run for tasty Virginia wine and an interesting tie to the battlefield. For aviation lovers, the Smithsonian Air and Space Museum is a highlight of a visit to DC’s National Mall. Continue to explore the history of air and space travel at the Smithsonian’s Udvar-Hazy Center in Virginia. The museum houses aircraft too large for the Smithsonian’s DC location. 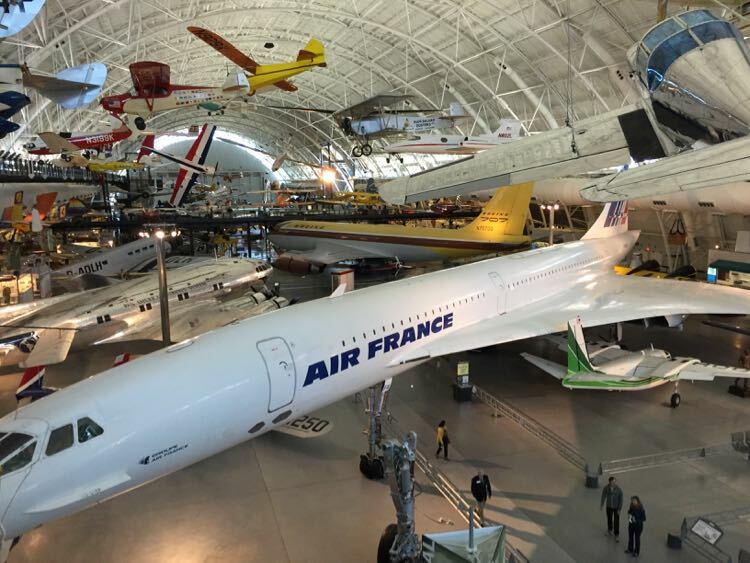 A Space Shuttle, Concorde, Blackhawk, and other stars of aviation are housed in 3 massive hangers just south of Washington Dulles International Airport. These Virginia day trips close to Washington DC offer fun all year long. Parks and hikes are particularly beautiful in spring when wildflowers line the trails and green fills the forest. During Autumn, fall foliage colors the hills and mountains, and the weather is usually mild. Wherever you go, avoid driving during rush hour if at all possible. You’ll need a car for most of our Virginia day trips, and Zipcar has lots of locations in the DC area. Click here for $25 off your first Zipcar rental. 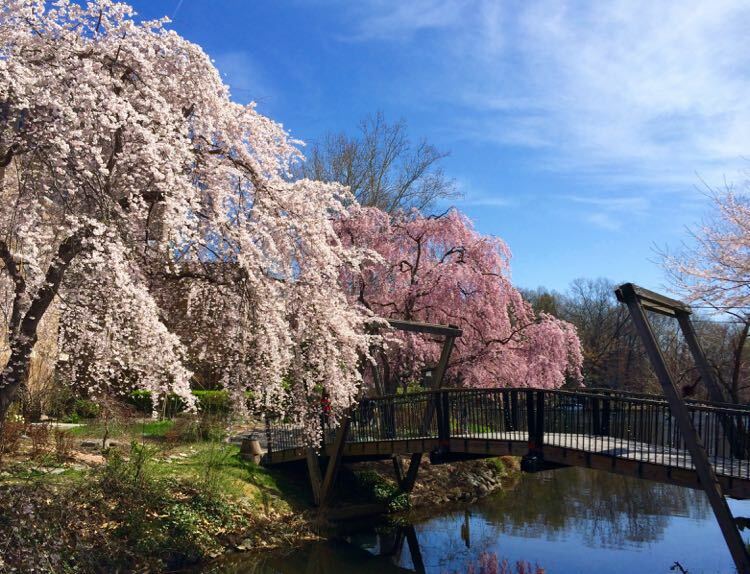 How many of these Virginia day trip near Washington DC have you visited? Please share your tips in the comments below. 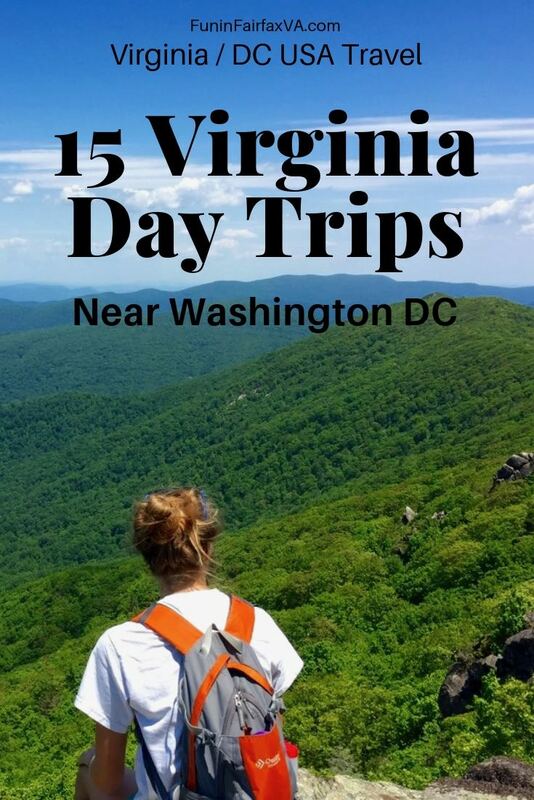 Follow Fun in Fairfax VA on Facebook, Twitter, Pinterest, and Instagram for more great hikes, places to visit, and things to do in Virginia and the mid-Atlantic. This article was published in 2017 and updated in 2019. Magnificent list of places to visit near Washington, DC. Love these suggestions. Thank you! We love to explore Virginia! Agreed, there are so many interesting and beautiful spots to explore. Belle Isle is certainly one of them. Thanks! Great suggestions, Julie! There’s so much to enjoy in the DC area! Thanks Anne. We agree, there are lots of great places to visit outside the city but still close to Washington DC. 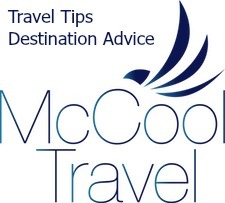 Great suggestions for day trips. Didn’t know there was this many!!! We always just did the regular attractions. Yes, Virginia is a wonderful day trip destination for anyone visiting Washington DC. Wow, the options for day trips near Washington D.C. could easily fill a week’s vacation…or more! I’d love to visit the wineries, Monticello and Mt. Vernon, just for a start! Those are 3 excellent picks. If you visit Monticello try to allow time for an overnight in Charlottesville. Great city. 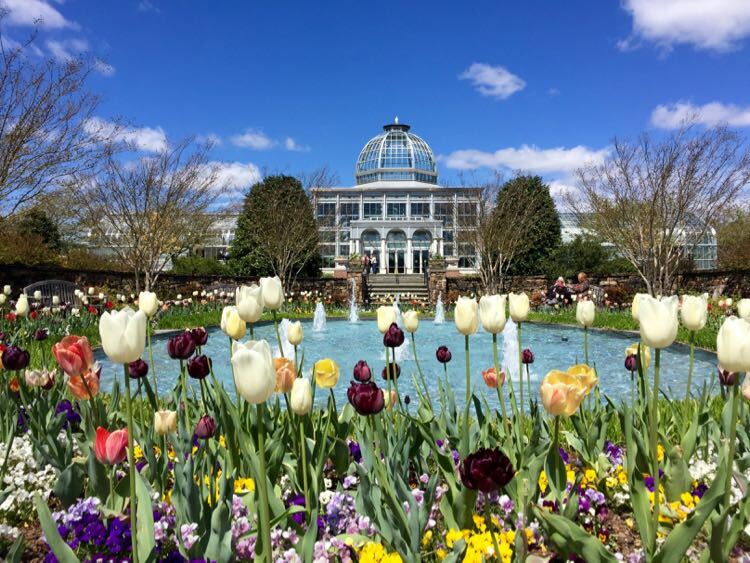 There’s so much to do around NoVa and you’ve captured most of them here! Mason Neck State Park looks so pretty, I’ll have to plan a visit there next time. And of course, Cville is a favorite of mine. That pic of the campus is so pretty! WOW! This looks absolutely fabulous. I never knew there was so much to experience there. LOVE your photos. Thank you so much! You don’t have to travel far from DC to experience a lot of the beauty and history of Virginia. Hope you can visit someday. Please correct the spelling of Thomas Jefferson’s name. It’s not Jefforson. Thank you so much for pointing out the error. I corrected the typo. Thanks for stopping by!